When you’re looking around for Toy Drones, you want to find one that fits the budget, yet is packed with features. For beginners and advanced operators, a gps quadcopter can help with the flight experience. Also handy for beginners is the pre-flight option that allows people to practice flying before they take the drone up. *All drones listed: manufacturer recommended age 14 years and up. *RTF=Ready-to-fly, which means that you don’t need to purchase any additional accessory to be able to fly the drone. * Headless function on a rc quadcopter means that you don’t have to make sure the front end of the drone is forward. *FPV=First Person View, is a way of flying a radio control aircraft while having a pilot’s eye view (flying it as if you were sat in the cockpit). When you’re looking around for a quad drone, you want to find one that fits the budget, yet is packed with features. The DJI Phantom 3 Quadcopter Standard Drone clearly does both. You can use this drone to have fun, snag great photos with its 2.7K HD Video Camera or shoot aerial footage even if you’ve never flown a drone before. This model is an RTF so you can take it straight from the box and get ready to have fun. Click for a closer look at the DJI Phantom 3 Standard Quadcopter Drone with 2.7K HD Video Camera here on Amazon! For both beginners and advanced operators, the gps quadcopter can help with the flight experience. Also handy for beginners is the pre-flight option, which is found through the compatible app that allows people unfamiliar with drones to practice flying before they take the drone up. The body of the Phantom copter is designed for long range flying and that’s exactly what it’s capable of. The DJI Phantom gps drone offers an amazing range of more than half a mile. It has the same sturdy leg design that you’re used to with the Phantom series. This makes landing the drone a breeze. The camera is positioned beneath the drone and is a wide angle with a 20mm lens. It has the capability to take good photos using the various features like point of interest and follow me. If you are going to do quadcopter aerial photography, you will see that quality makes a huge difference. The camera provides beautiful images and intense and awesome videos, although the camera doesn’t have a lot of movement ability, so you can’t rotate it far. If you prefer to upgrade the camera to one that does have more freedom of movement, the drone quadcopter will support that upgrade. The quadcopter drone ’s propellers are identifiable based on the color of the motors at the top. One is black and the other one is white. The drone is a little heavier than other drones – coming in close to 3 pounds – but still falls into the lightweight category. The transmitter that comes with the DJI Phantom quad copter is fairly simple to use and has a rechargeable battery. It takes at least 90 minutes to charge the battery. The USB port is situated on the transmitter and has an indicator option. The transmitter does have the ability for you to attach your smartphone device. Operating the drone is simple from takeoff to return landing thanks to the easy to use icon. There are dual controllers on the transmitter that gives the drone full movement from side to side, or forward or backward. The DJI Phantom drone also has the user favorite feature of return to home. In the event that you lose contact with the drone, this feature can help make sure you don’t lose your investment. Something else buyers really enjoyed with this drone is the extended flight time. Unlike drones that give you 6-10 minutes of flight time before a battery charge is needed, this model offers an extended flight time of 25 minutes. With this purchase, along with the drone, you receive the battery and charger, the transmitter, an 8GB micro SD card and 2 complete propeller sets. DJI Phantom 3 Standard Quadcopter Drone with 2.7K HD Video Camera check price on Amazon! A great quadcopter with camera and gps – you get a lot of features and technology. Be aware that there are restricted areas that you cannot fly it, for example within 35 miles of DC. Flying a quad drone for fun is one of the most popular hobbies now. Drones are also used by professionals in a variety of business endeavors. But whether you’re a beginner or a professional, you have to practice to become good at operating a drone. While not all drones are suitable for beginners, the Holy Stone HS170 is. This quadrotor drone is easy to operate and rated as one of the best drones for learning how to fly one. Click to see all details and reviews about the Holy Stone HS170 Predator Mini RC Helicopter Drone 2.4Ghz 6-Axis Gyro here on Amazon! This mini RC helicopter can be flown by any user with any level of skill thanks to the headless flight system. What this rc predator drone does is it connects the flight of the device’s movements based on the controller experience. This ability is what gives beginners an easier place to start with quadcopter drone training. The helicopter rc drone comes with 2.4 GHz remote with 4 channels. The remote has both thumb pad and joystick operation. The precision remote has anti-interference so you’ll be able to enjoy uninterrupted flight times. It can be flown indoors or outdoors. The mini drone has three speeds. This mini helicopter drone does has the popular 6 axis system. What this does is works to keep the drone stabilized. It keeps it steadier than systems with less than six. For both the beginner as well as the advanced, having a 6 axis system means you get better control. You can fly the device left or right, back or forward and perform a variety of maneuvers without worrying about a loss of control because of the way the 6 axis system keeps the drone on point. Though the mini quadcopter is lightweight, it is wind resistant. You can fly the device about 150 feet from the remote. The amount of flying time you’ll get on a single charge is between and 10 minutes depending on how you operate it and weather conditions. When it’s time to charge the device, it takes at least an hour but usually not more than an hour and a half. This drone helicopter does not come with a camera included. It does have LED lights making it easier to see when used at night. When you buy the Predator RC, you receive the drone quadcopter and the remote. The remote doesn’t come with batteries, but the predator quadcopter does have the operational battery. You’ll also get four extra propellers. Included in the package is the USB cable for you to charge it and the owner’s manual, which includes operating tips to keep your drone in top shape. Click to see all details about the Holy Stone HS170 Predator Mini RC Helicopter Drone 2.4Ghz 6-Axis Gyro on Amazon! This is also great for kids who want learning to fly a quadcopter, the recommended age of use for this particular Predator rc drone is at least 14. Thanks to the light weight of these hobby drones, this one does not have to be registered with the Federal Aviation Administration. If you’d like to buy a quad drone for the first time for yourself or your kids or you already have a rc quadcopter but want to add to your collection, the Hubsan H107C RC Quad Copter that comes with a camera is a good choice. Not only will you get a quad helicopter drone that offers quality flight times, but you’ll also get one that’s not over the top expensive. This drone is a quadcopter, which gives you a steadier flight and has powerful motors. Click for more info and reviews about the Hubsan X4 (H107C) 4 Channel 2.4GHz RC Quad Copter with Camera right here on Amazon! You get some extras when you make the choice to buy this drone. You get the Hubsan drone, the long lasting 3.7 volt battery, the controller, the USB cable, propeller guard and additional propellers. As far as size goes, the Hubsan quadcopter is a little under three inches and barely weighs over a pound. However, despite its light weight (the Hubsan X4 weight is only 1.1 pounds), the body is sturdy and the rc drone can easily handle numerous crash landings. The propellers can easily be determined between the front or back of the quad helicopter thanks to the color coding of red and black. The Hubsan X4 has a pretty decent motor that will hold up for years of use. When you’re ready to get started, playing with your drone copter is simple. You put the battery in and switch the transmitter on. The transmitter is 4 channels and it has low interference. Once the drone signals that it’s ready, you can begin flying it. The quadrotor drone has a fast reaction time to the controls and can easily move in the direction it’s commanded to go in. A word of caution, though – always operate the the Hubsan X4 H107C with the propeller guards on. This protects your blades and all it takes is one hard crash to remove your drone from the flight list until you can buy replacement propellers. The Hubsan X4 quadcopter does fly pretty steady and is capable of 4 way flipping. Depending on the action you do with the quad chopper, you get about 7 minutes of flight time per battery charge. Over time, you might notice the X4 quadcopter drone is a little off, but you can calibrate the gyro if you need to. But if you do that, make sure it’s on a level surface. You can tell whether or not you need to calibrate by the way the Hubsan quad drone reacts in hover mode. If you have it hovering and it moves in any direction, then it needs to be calibrated. Click for more details about the Hubsan X4 H107C 4 Channel 2.4GHz RC Quad Copter with Camera on Amazon! You would use the trim to fix it by pushing it in the opposite direction from how the camera quadcopter is drifting. For example, if it’s drifting backward, you would push the trim forward. The Hubsan X4 camera and video quality are both good and the definition and resolution are decent for the price. Good thing is although the camera is in a fixed position, if you use the YAW function you get a 360 degree view. Truly amazing value and fun! Flying a quad drone and capturing images use is easy when you have a decent drone to use. When you’re thinking about buying one for you or your kids, you really want to go for the quadcopter with the 6 axis system like the Cheerwing Syma X5SW in order to get good, quality flights. Click to A m a z o n: Cheerwing Syma X5SW FPV Explorers2 2.4Ghz 4CH 6-Axis Gyro RC Headless Quadcopter Drone UFO with HD Wifi Camera. That’s what you’ll get with the Cheerwing Syma 6-Axis Gyro RC Headless Quadcopter Drone UFO. This model is practically bursting at the seams it’s so loaded with features. Not only do you get the stability of the 6 axis system, but you get the Headless capability, too. This is a great kids drone, very fun and easy to fly! When you have the headless function on a rc quadcopter it means that you don’t have to make sure the front end of the drone is forward. You can simply fly it. This is just one of the many reasons that this drone is a top pick for people who are brand new to the world of flying drones. Getting the hang of learning how to fly it is easier when toy drones have the Headless option. Otherwise, for those new to flying drones, it can be difficult to tell which is the front of the drone and which is the rear. The drone rc does have 3D lock – along with the 360° eye version. You gain better flight maneuverability every time. You would think at the great price of this drone that it couldn’t possibly come with a camera, but it does. The Syma fpv quadcopter drone has an HD camera that’s compatible with a smart phone device. You’ll easily be able to take the photos and videos that you want to. With the video, you’ll be able to have real time video transmitting. The people that you share it with will be able to see what happens as it’s actually unfolding. This can add a level of excitement and realism to your family, friends or fans as they watch. You can capture all of the action that you want to grab. There is a cell phone holder which will lock your phone into place for worry-free operating. You will need a Wi-Fi connection. The axis operates on a 4 channel system, which improves flight time as well as making the moves react faster and easier. You get a distance of about 150 feet with the remote control. You want to make sure you do keep up with that distance because this quadrotor drone does not have the return home feature. So if it gets out of range, you don’t want to be faced with the prospect of having to search for it. The purchase comes with the drone, the remote control and the USB to charge it. You also receive the phone grip and a propeller guard. Cheerwing Syma X5SW FPV Explorers2 2.4Ghz 4CH 6-Axis Gyro RC Headless Quadcopter Drone UFO with HD Wifi Camera – check price with A m a z o n! What is great about this quadcopter drone is its durability and how easy it is to replace parts, which are also extremely cheap. If you are looking for a quad drone with camera, the UDI 818A Quadcopter is a great choice. There are many different HD drones you can buy, but not all of them are good for beginners and advanced combined – as well as being loaded with cool features, except this one. The UDI RC Quadcopter Drone model 818A comes with an HD Camera, the Return Home feature and Headless Mode – so that it’s packed full of extra goodies to enhance your play time. Click for more! The UDI RC Quadcopter Drone, check price on Amazon! The U818A is stable, whether it’s in flight or in hover mode because it has the 6 axis system. You have the ability to move the HD drone up or down, left or right. It comes with a choice of two modes. You can use Mode 1 or Mode 2. If you’re someone who’s just getting started with drone flying, you’ll want to stick with Mode 1 until you learn how to move the drone well. What Mode 2 does is give users more speed as well the ability to take the drone through a series of stunt moves if you want to operate it that way. All you have to do is press the controller system to choose between the modes. 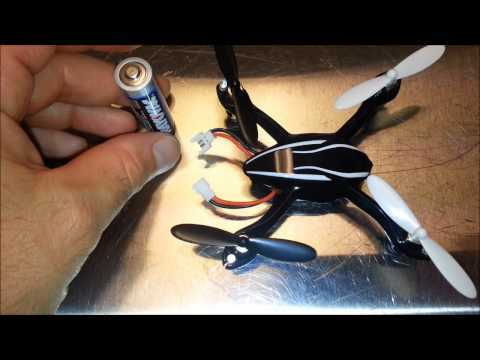 When you unpack the rc quadcopter with camera, you’ll want to install the battery first. It’s a simply slide and click into place method. After you connect it with the cable, you’ll see the lights of the drone come on. These LED lights look pretty cool when you’re in the dark. This personal drone with camera does have the Headless mode, but you’ll be able to easily tell which way is forward on the drone because the front blades have curved guards on the front of them. If you put the device in the Headless mode, what happens is that the drone will react to your control movements regardless of where the front of the drone is. If it’s the rear that’s facing forward, then the rear will fly as the front of the drone. For drone photography the HD camera quadcopter take high-res pics and video during flight and includes 2MP cam with upgraded 4GB Micro SD. Operating the rc camera drone is simple. All you have to do is push forward or back on the controller. When you power it up, you’ll be able to hear the powerful ability as the blades spin. You move the throttle up or down and use the left hand button on the remote. The forward and backward pitch is on the right side. It does have 360° eye vision ability. The drone copter has a 4 gig memory card with the built in camera. When you buy the quadrotor drone, you’ll also get an extra battery with the palm sized power bank. This helps you be able to keep a battery charged up to switch out so you don’t have to cut your flying time short due to not having a battery ready to go. The power bank does have a battery ready indicator. The remote control quadcopter is relatively wind resistant, but wind does reduce the time you get to fly the drone because it’s a battery drain. When you’re finished using the 6 axis quadcopter for the day, if you’re recording, don’t forget to stop the recording feature before removing the battery – otherwise you could lose what you just filmed. Go to Amazon for more info and reviews about the latest UDI 818A HD+ RC Quadcopter Drone! The UDI 818A is easy to fly, it’s stable and very robust, an excellent quad to learn to fly and take awesome videos. But since it is very light (weight is 4.6 ounces only), it would be easily lost on windy days. There are a lot of quadcopters and specific models to choose from when you want to find the right mini quad drone. The Hubsan X4 107L Quadcopter is one of the more popular ones. For those with a lot of experience with drones, the selection process might not be as hard, but for everyone else, knowing what qualities are the best can sometimes be a bit trickier. But out of all the drones on the market, the Hubsan H107L is a great choice because of the price, the build, the durability and the palm sized dimension of the drone. Click for more info about the Hubsan X4 H107L RC Quadcopter here on Amazon! The Hubsan H107L X4 is small but loaded with features. It comes ready to fly right out of the box and can be used indoors or outside. The mini quadcopter has a 2.4 GHz 4 channel flight. The 6 axis system loads this drone with stability and ease of flight. As with other quadcopter drones, you can adjust the gyro if you need to, but for the most part, you get a pretty solid flight and hover. Even though the frame of the quadrotor drone is lightweight, that doesn’t detract from the solid build. It can easily be maneuvered through not only basic flight, but stunts like flips are possible as well. The Hubsan X4 H107L mini drone can easily fly through 4 way flips. The propellers are color coded to help you identify the front from the back. The front of the quadcopter X4 has the white propellers while the ones on the rear are black. The battery is high capacity and you get between 7-9 minutes of flight time. What’s different with this drone copter is that even when it’s windy outside, you’ll still get that same great length of flight time because this drone won’t draw additional power from the battery. When you charge the battery, it takes about 60 minutes, which is considerably less than a lot of other micro quadcopter models. You’ll get just under a hundred feet of distance with this controller which isn’t a bad length. The drone toy has a core-less motor powering the drone. This motor enables the zone to zip around pretty quickly – whether it’s inside or outside. It does have an advanced mode, which some users call the stunt mode – and it does just what the name says it does – performs stunts like rollovers and flips. The Hubsan quadcopter doesn’t come with a camera and the lightweight frame and size (only 2.4 in/60mm in diameter) of this quad drone might not easily support one. However, this minidrone is a good idea for teens and older kids, or someone who’s just getting started with drone flying. When you buy the Hubsan X4 quadcopter, you get the transmitter included. Good thing the kit includes an extra set of spare blades, the charging cable, the instruction booklet and the protective cage. Click for more info about the Hubsan quadcopter mini on Amazon! The value for what you pay is really excellent and will be truly hard to beat. Happy Flying! There are some pretty decent quad drones available and then there are UFO drones that go beyond that into the realm of awesome. The UDI U845 with HD WiFi Camera fits the bill of awesome. To start with, the design of the device looks a lot like a UFO and that alone amps up the cool factor. This drone is an RTF drone, which means it’s ready to fly from the moment that you get it. You won’t have to spend time assembling a bunch of pieces before you’re ready to get out and have some fun with it. This is a quadcopter, which means you get some pretty smooth flights. Click to take a closer look -> DBPOWER UDI U845 WiFi FPV UFO Quadcopter Drone with HD Camera on Amazon! The plastic frame that’s fully surrounding the blades is made that way to keep the blades from becoming damaged if it bumps into something. Because the frame is flexible, it also protects the drone from getting damaged even during those crash landings that are hard on drones. Thanks to the headless mode and One Key Return the UDI U845 pretty easy to fly. There are LED lights navigation lights on it so that you can use it at night as well. You can tell super easy which side is the front just by a quick glance, as there is a white LED in the front, a red led in the back and 2 blue LED lights on each side. The Transmitter operation range is about 300 feet. The UDI quadcopter can be operated with just the remote or with the remote and your phone. You can take good aerial videos and photos with the HD camera that comes with it. The camera is great for use if you want to take pictures and you can use the video for filming any type of shot – including surveillance. You can also see the camera through the App on your phone as well. The UFO quadcopter has two modes. Mode one is the regular mode that’s so easy to fly that even beginners can handle it. But in mode 2, this is the advanced mode. This is what you would use if you wanted the drone to perform stunts. If you want to do flips and rolls, the 360 Flip Mode is the mode you would use. It’s better to have some experience before using this mode because the drone does move faster. You get about 8 to 10 minutes of flight time and it takes around an hour to charge the batteries. Good thing is, the rc ufo drone also has a low voltage alarm so when the power is low the remote will alert you. Because the body of this toy drone is lightweight (4 ounces/112 g), you need to be cautious about flying it when it’s windy. The drone doesn’t have the engine power to fight against harsh winds. When you buy the UDI RC UFO you get the quadcopter drone, remote control, 2 copter batteries, 6 spare propellers, USB charging cable, attachment to hold phone on remote as well as a detailed and user friendly manual. The only thing you need extra are 4-AAA batteries for the remote control. Click to take a closer look -> DBPOWER UDI U845 FPV UFO Quadcopter Drone with WiFi HD Camera on Amazon! The UDI rc quadcopter is the toy drone with a ton of fun and definitely recommend to anyone looking into a good quality that will not drain your pockets and it provides countless hours of fun and entertainment for the whole family. If you’re looking for a cheap super lightweight (2.4 g), easy to use quad drone, then the Cheerson Mini Drone CX 10 Micro RC Quadcopter is the one for you. It’s made with compact precision and at the mini size, is small enough to hold right in the palm of your hand. Click for more details and reviews about the Mini Pocket Drone 6 Axis Gyro RC Micro Quadcopter on A m a z o n! But just because it’s small doesn’t mean that it’s short on ability. This little Cheerson mini drone offers the same amazing 360 degree rollover that the larger quadcopters have. You get all of the precision turning that you expect in a gyro quadcopter that will meet your expectation of flying fun. The system comes with a 24 GHz transmitter with anti interference so other signals won’t disrupt your ability to fly the drone. Because it has the 6 axis quadcopter system, you’re looking at the top of the line when it comes to stability. This system will keep your drone flying smoothly while at the same time giving it a steadfast hover if you fly that mode. Thanks to the size of the drone, this one is a great choice when it comes to using it indoors as well. This mini quadcopter is a perfect gift idea for kids and they can operate it inside on rainy days. The smaller size of the device means that if it is played with indoors, it’s less likely to cause any damage to furniture or other items than larger drones could. The distance the Cheerson quadcopter can go using the remote control is around 150 feet. When you need to charge the device, plan on at least a half an hour for it be charged. With a good charge, you should get between 5-7 minutes of flight time. The Cheerson micro quadcopter charges easily. All you have to do is hook up the device to the transmitter and you’re good to go. You will need to use a couple of AA batteries to be able to power the charging ability. It has 3 separate flight modes for you to use, which will determine how quickly your device will respond and the ease of movement. Though the quadcopter is sturdy, you’ll want to make sure you have extra blades on hand. As with any mini drone device, the propellers can become damaged if they crash into something, so you better buy the Blade Guard Cover Protector right away. When you get this micro quadcopter, you receive the drone as well as the remote control transmitter, which relies on thumb pad directional control. You’ll need the AAA batteries for the remote of the mini rc quadcopter. There’s a low battery warning light that will let users know when it’s time to replace the batteries. You also get some extra propellers and landing gear. The USB cable for charging the drone is included along with an instruction booklet. Click for price and more details about the Cheerson CX 10 Mini Pocket Drone on A m a z o n.
This is the coolest and smallest toy helicopter I’ve ever seen, it´s only the size of an Oreo cookie but it can really go. The CX 10 is a fun and cheap quadcopter, perfect for beginners.